A striking brown-grey limestone Georgian house, standing over the corner of Grassington market square, Grassington House is one of the area’s most notable buildings. 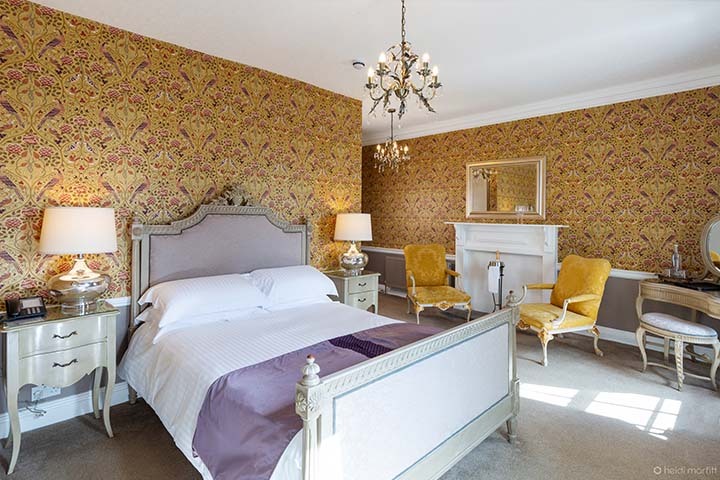 Originally constructed for Mr. Brown, a promoter of the Grassington-Pateley Bridge Turnpike Trust, it was later inhabited by the Alcocks, a distinguished banking family. 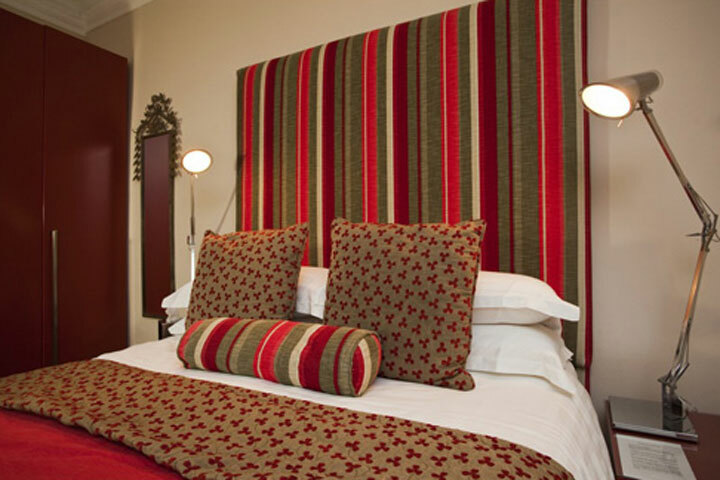 It was first converted into a hotel in the early 1900s, and has been lovingly restored. 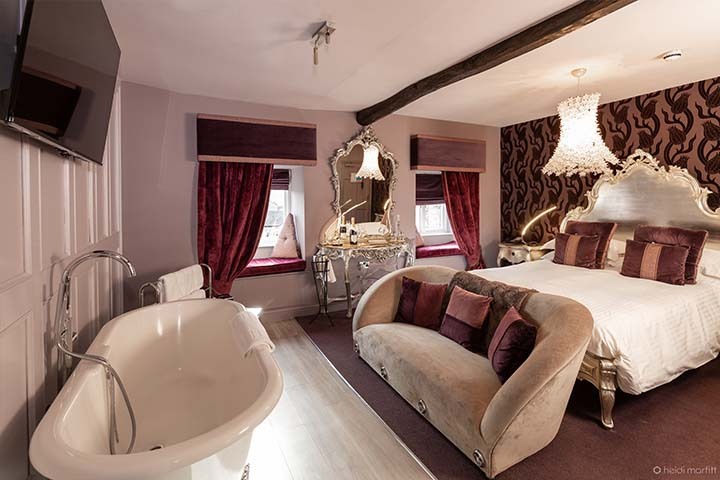 The house retains many of its fine heritage features, but with a thoughtful Grassington House twist – a pop of colour in one room, a free standing roll-top bath in another, each one different, each one a haven of relaxation and peace. 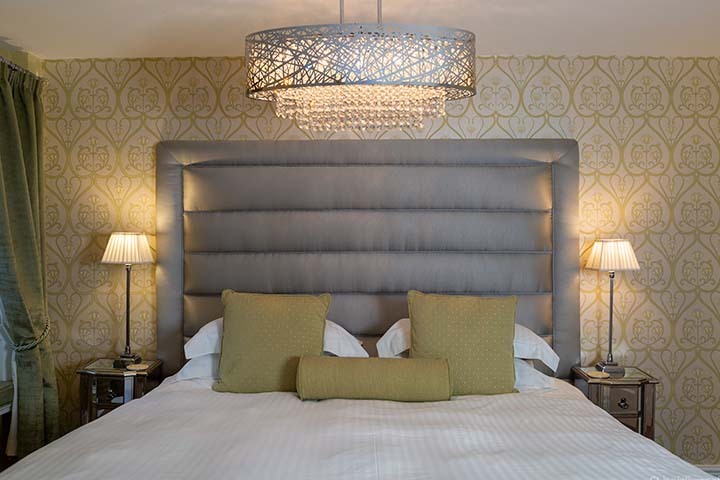 The Alcock Room is an ultra contemporary king-size bedroom, tastefully decorated with designer furniture and stylish design elements. 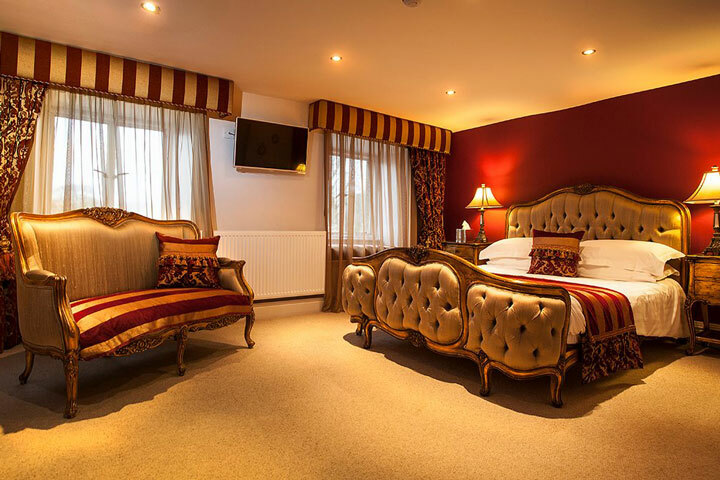 A plush, premium king-size bedroom with a chic design, the Red Room offers such features as a dramatic bed with 5ft headboard and striking lighting. 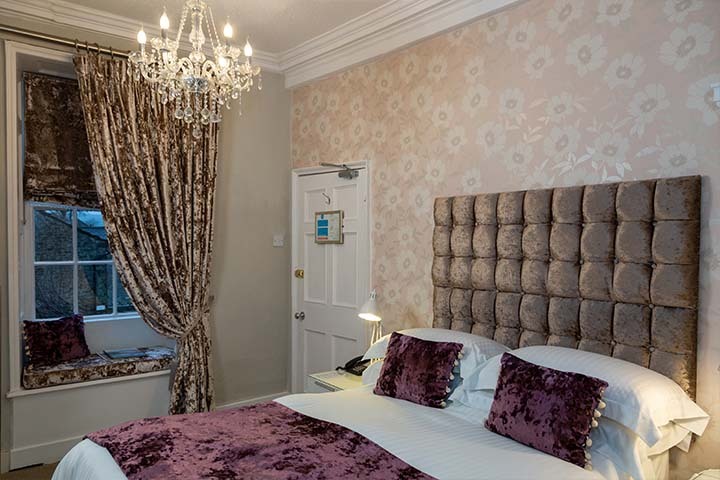 With windows opening directly onto the picturesque and vibrant Grassington market square below, The Square Room is a luxurious king-size bedroom featuring decadent French château-style furnishings, including two sparkling chandeliers and ornate, elegant armchairs. 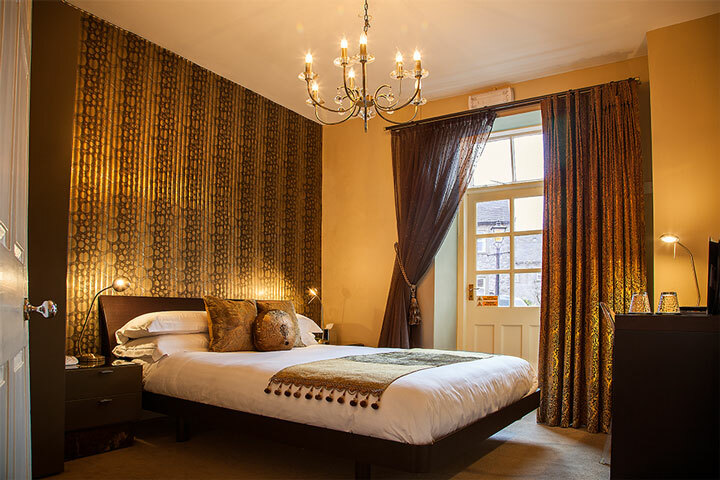 Another popular room, Number 8 offers lovely views down onto the cobbled market square of Grassington, with its boutiques and vibrant life. 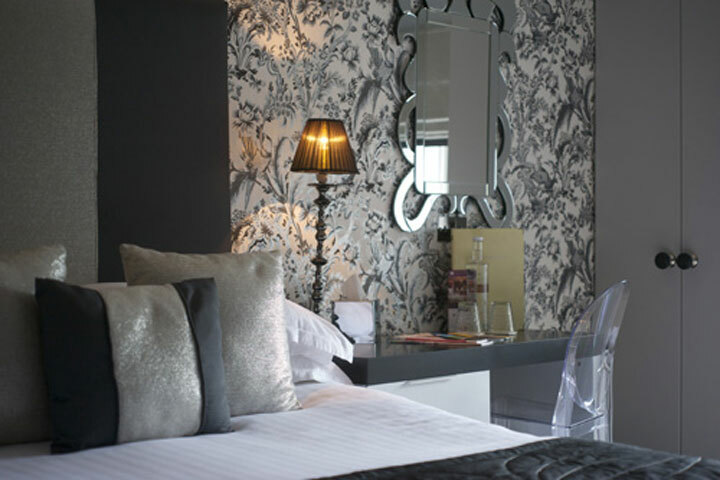 Number 10 is the most recent addition to our room collection and offers a wow-factor to any stay. 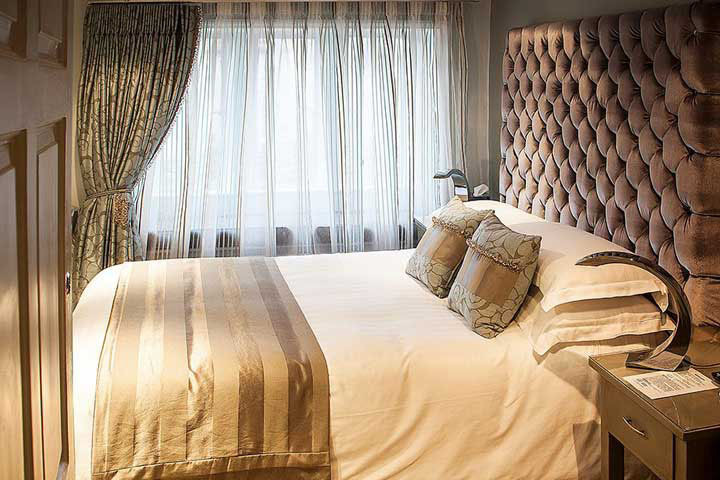 A curved gold French-style bed is a key feature of the room, which is light and airy, whilst the bathroom has been designed for two to enjoy at any one time, with a spacious and luxurious walk-in shower.